I think I’ve found The One. Sure, it’s a little old (centuries, in fact!) 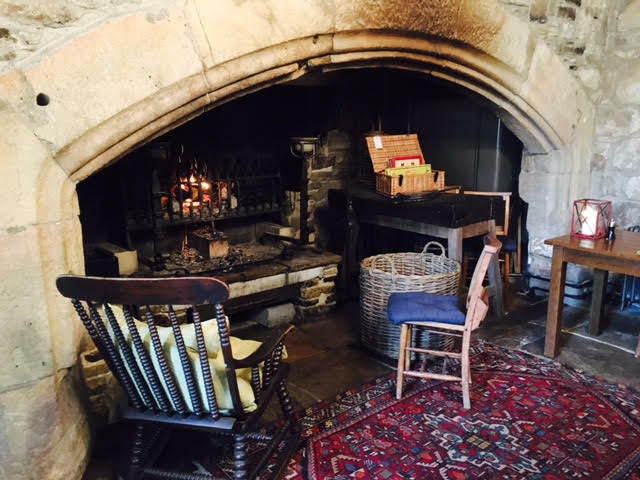 and a little bit out of the way, but I’ve fallen head over heels for The Lord Crewe Arms. Before we get into this, I should warn you: this is my most photo-heavy posts yet, because a place like this deserves that kinda justice. I hope you enjoy a sneak peak into the Lord Crewe! 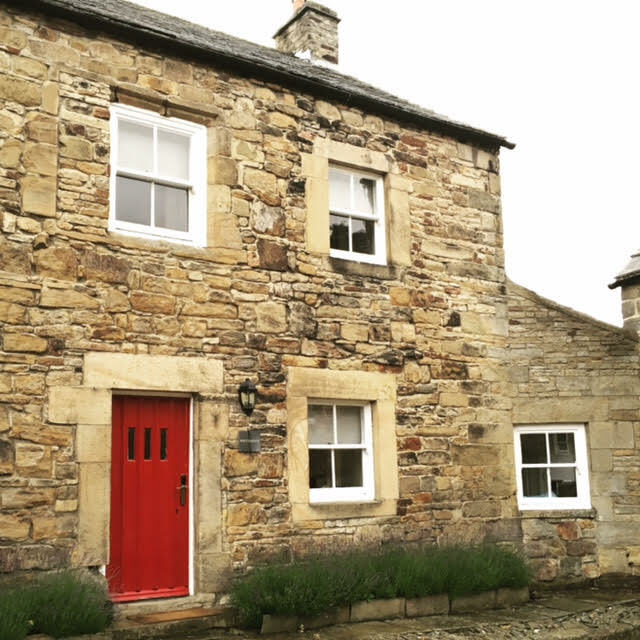 We visited this weekend just gone to celebrate my boyfriend’s birthday, and after around a 40 minute drive through winding roads in the typical British rain from Gateshead to the tiny village of Blanchland (population of less than 200 in their last census! 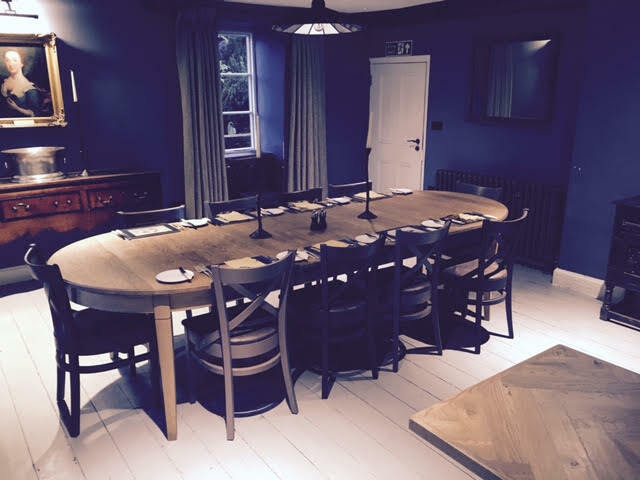 ), we reached the quiet and picturesque hamlet where the beautiful Lord Crewe Arms Hotel and Restaurant is situated. This place has history spilling from its walls. 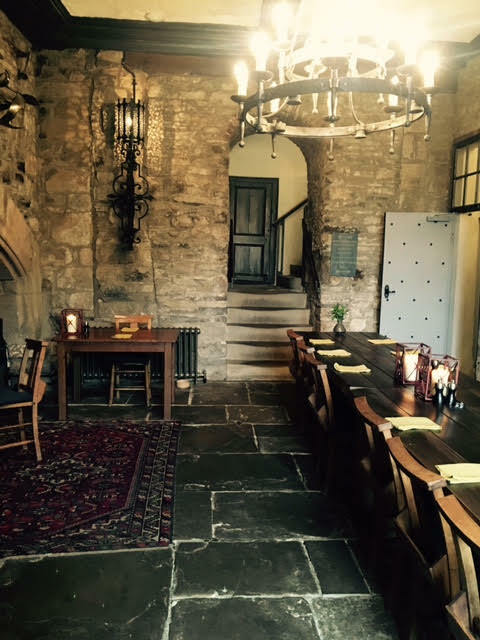 Built in 1165 when Blanchland was founded as a Premonstratensian priory, The Lord Crewe Arms was originally the Abbot’s lodge, guest house, kitchens & dining room and gardens. It’s right next door to the beautiful Abbey, and smack-bang in the centre of Blanchland, so I’d go as far as to say it’s the jewel in the village’s crown. 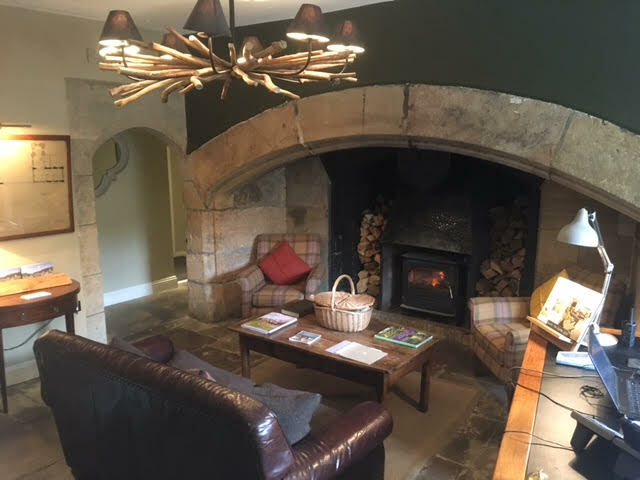 Over the centuries, The Lord Crewe Arms has taken on many incarnations, the most recent of which is a luxury hotel, fine restaurant and beautiful gardens, co-owned and operated by national hoteliers, Calcot, and the Lord Crewe Charity. The striking thing is, this beautiful place still feels very much independent and rustic, which is testament to the group really, having successfully translated a historic Grade II listed building into a modern-day hospitality gem, with the right amount of luxury (it’s in absolutely no way pretentious) combined with a wealth of history and authenticity. There was quite a pricey revamp to get it this way, but it doesn’t feel at all ostentatious. 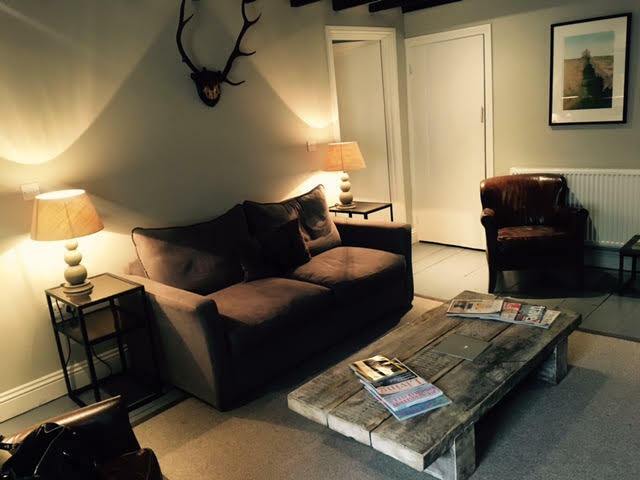 In the main building, you’re welcomed by a cosy, chic reception area with an open fire and comfy sofas. 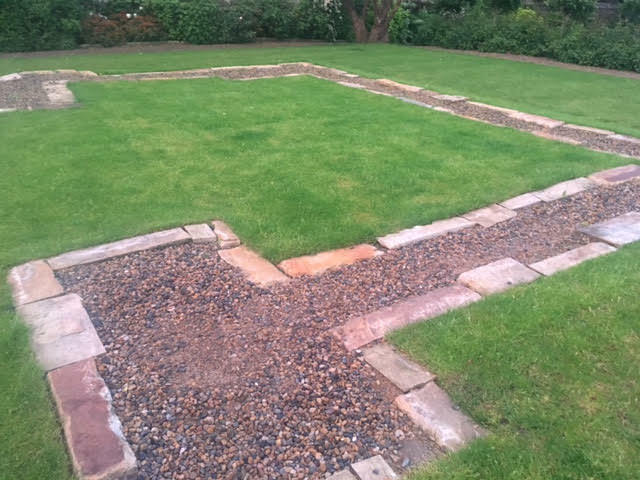 Signposts point you to a number of corridors that lead to The Crypt bar, the absolutely amazing downstairs banqueting area (The Hilyard) with its magnificent open fire, and access to their beautiful gardens and terrace from the bar and the lounge. There are games to play both inside and out, with dominos, chess, Jenga and lawn games (outside, obviously) to keep visitors occupied during their visit. To me, what was most interesting, was what was on the walls. 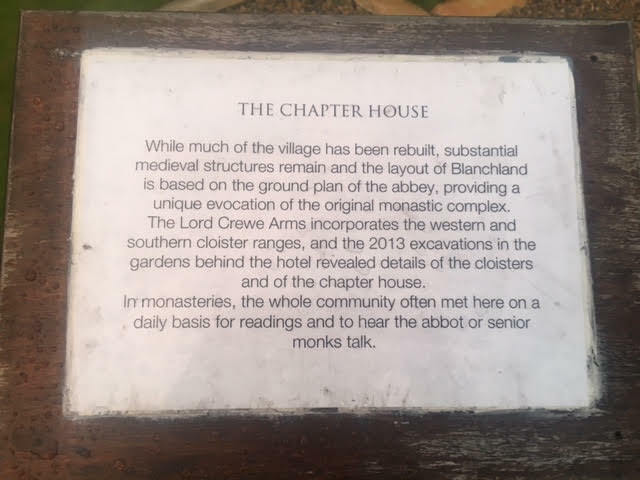 There are loads of pictures of Blanchland, the Abbey and the Lord Crewe Arms itself, taken throughout the ages. The Crypt bar boasts a range of local ales from Wylam Brewery (including their very own Lord Crewe Brew! 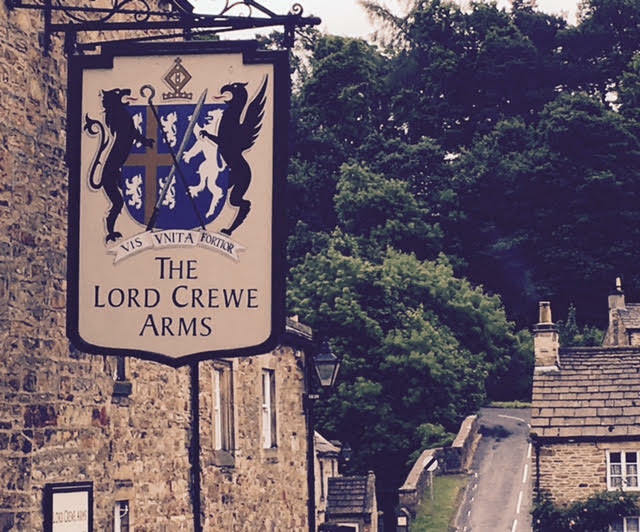 ), quality wines and spirits, and the Crewe Cocktails, named after some of The Lord Crewe Arms’ historical inhabitants. There is also some pretty fragrant flavoured gins and vodkas, created by a member of staff, I’m told. If you go anytime soon, smell the Garden Pea Vodka – quite the interesting aroma, but it’s apparently quite refreshing! There’s also a range of ‘Bar Bait’ available, think pub classics and Northern favourites, along with home-made charcuterie with delicious breads. 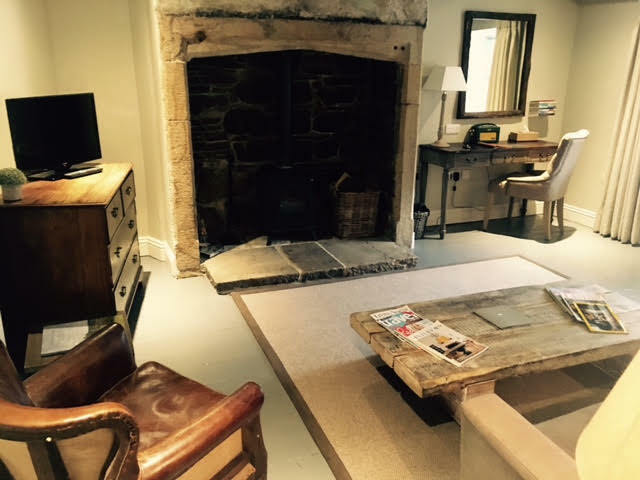 The lounge area in the sublime banqueting room – so cosy! 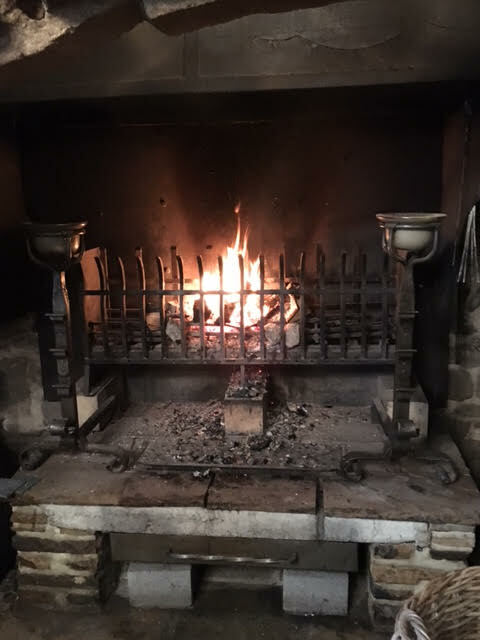 Check out the size of this fire! Upstairs sits the two dining areas, The Bishop’s Dining Room (which I’ll be talking about in my next post to mark our dinner visit!) and The Derwent, pictured below, both led up to by a wide, original staircase bursting with light. 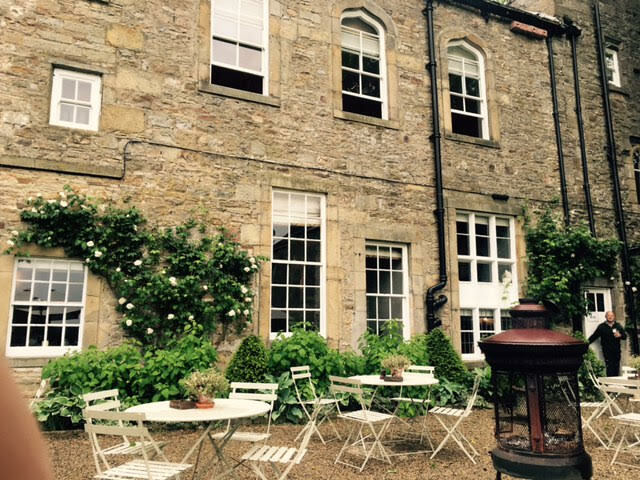 The venue boasts rooms in the main building stone walls, as well as Miner’s Cottages, all of which total 21 glorious places to relax, sleep and forget about the hustle and bustle of the nearby city. We were staying in Whiteheaps, one of the suite cottages, situated in the corner of the square. 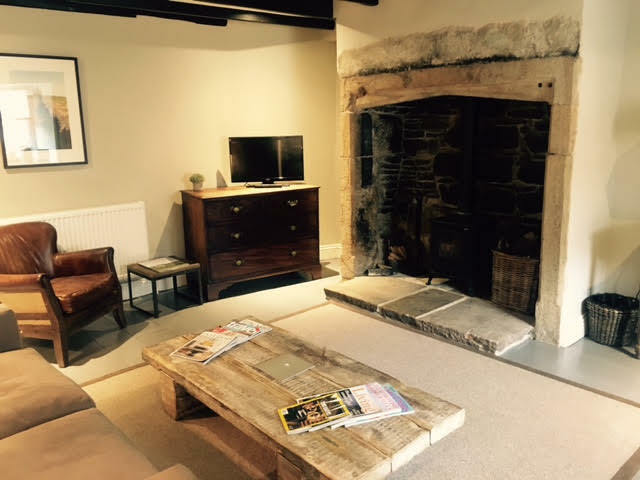 Whiteheaps is one of the swisher Miner’s Cottages, with it’s separate living room on entrance, boasting a log burning fire, Roberts radio, Nespresso coffee machine and a range of stylish furniture, all of which gives this place a real country-luxe feel. There’s also a very handy guide, put together by the hotel, telling you of fun things to do in the area, the history of the venue and other ‘need to know’ bits and bobs to make your stay as comfortable as possible. If you’re savvy, you can order your breakfast in bed, and within the guide booklet you’ll find order forms for you to drop at reception before retiring for the night. If I’d spotted this form earlier than right before the end of breakfast service, we would have done just that. 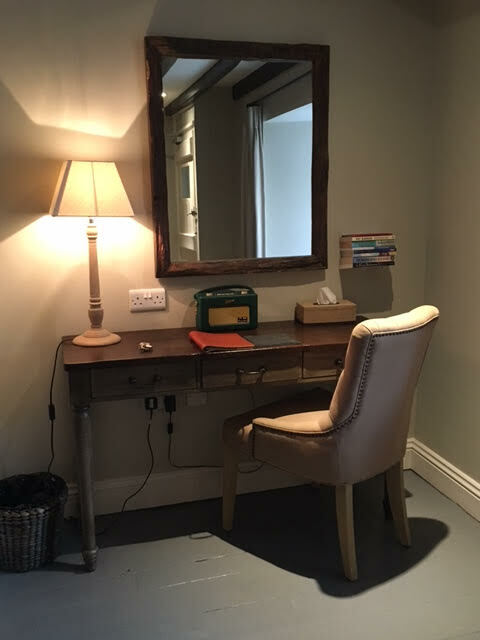 A great idea and a great excuse to simply escape from the world in your lovely little cottage. Even just writing this makes me want to go back and do just that! There’s no phone signal in Blanchland whatsoever (not even if you wander up the hill with your phone in the air – which we did not do, FYI! ), but they’ve got some impressive Wi-Fi going on, so all rooms and the main site are covered with very decent signal strength. Instagrammers, therefore, needn’t worry about having to post the following day (shock horror!) when back to the land of 4G! 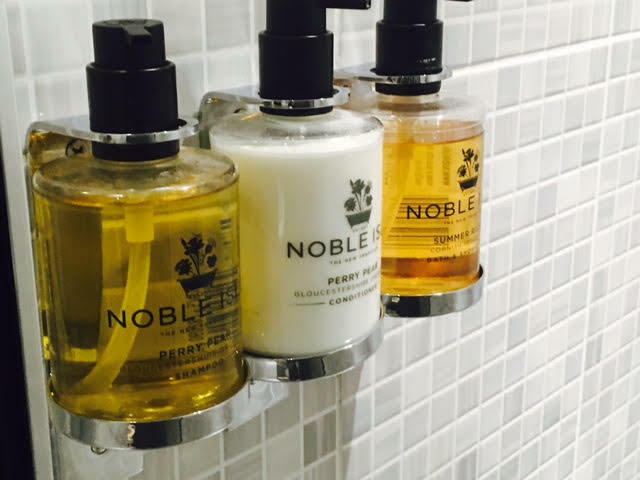 Onwards through Whiteheaps, and there’s a gorgeous bathroom, with roll-top bath, a Victorian power shower, a range of Noble Isle luxury bath products, and crisp, white bath robes. 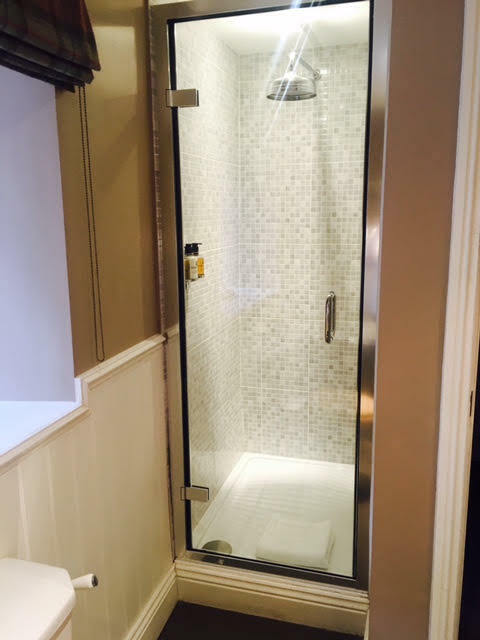 I can confirm, the shower is just as powerful as it looks, and there is luxury shower gel, shampoo and conditioner, so you really don’t need to be lugging around toiletries with you. It’s pretty impossible not to get your hair wet (I’ve done that homework for you! ), so make sure you’re using the shower cap if you don’t have time for a blow-dry. 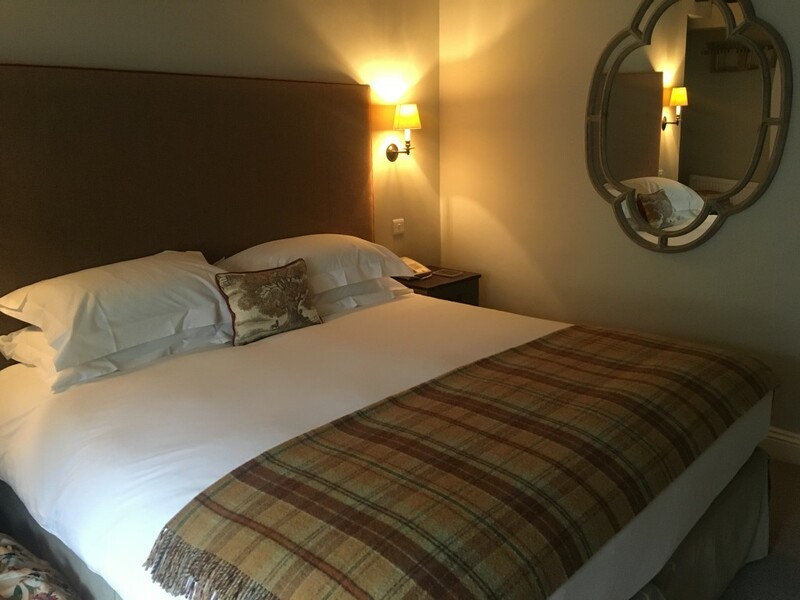 This is attached to a spacious and serene bedroom, with a Kingsize bed dressed in country-chic bedding (think checks, deers, pictures of the moors, and so on!) and a wool blanket. There’s a wardrobe, TV, an iron and ironing board, a decent hairdryer and a water flask with glasses by the bed. 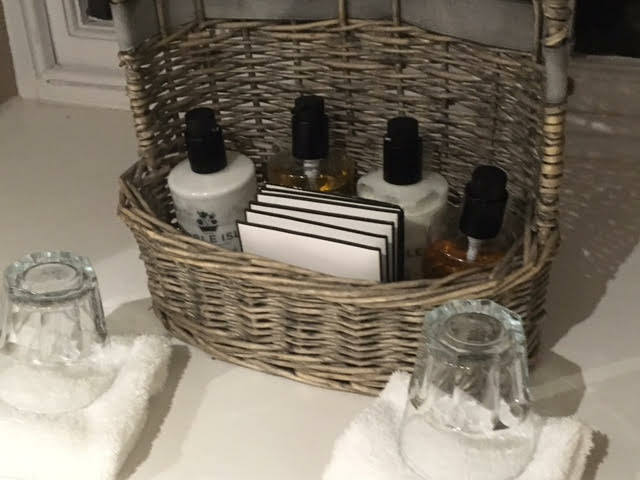 If you need anything else, like wine glasses for example, just call reception on your bedside phone and they’ll be brought round to your cottage. You really couldn’t want for anything. We spent a lot of time in the main building (aka we spent a lot of time in the bar and in the gardens!) 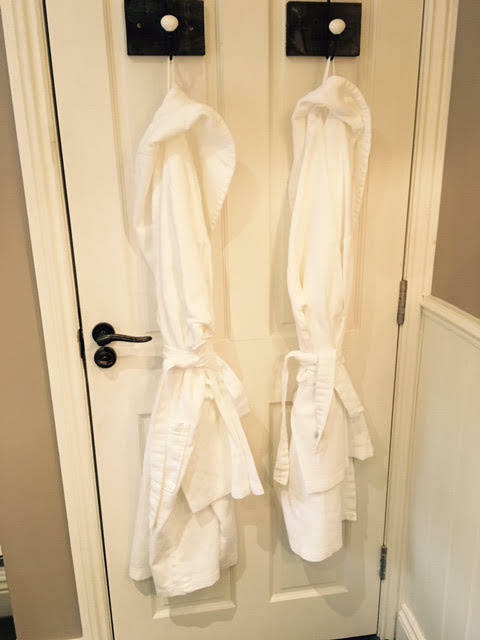 so I can only say I wish we had more time to enjoy the room, but with so many lovely things to experience in The Lord Crewe Arms itself, there’s so much to tempt you out of the sanctuary of your room. One thing you’ll be likely astounded by is the level of beautiful quietness outside, but rest assured that there’s plenty of life inside the venue and you’re greeted by lovely staff with plenty to say. So after our jaunt to the Restaurant for a three-course dinner of delights (more on that in my next post! ), we enjoyed sunset looking over the lawn and fields beyond with several glasses of wine. For a really decent white/red, you’re looking at around £10 a glass (I was drinking the New Zealand Sauvignon Blanc though, and let’s face it, that’s pricier everywhere! ), but for less than that you can still get plenty. I was there for a wedding last year (P.S. They do the best flipping weddings EVER! ), and vaguely recall spending around £5/6 for a glass of white. Not bad. To give the bar prices some context, we ordered a pint of The Crewe Brew and a large white wine, and it was £8.30 for the round. Upon retiring back to Whiteheaps, I ran myself a hot bath, taking advantage of the luxury bath products with a glass of bubbly (as part of the aforementioned birthday celebrations for my beloved!). I was absolutely dying to lounge about in my hotel robe (WHO DOESN’T LOVE A HOTEL ROBE?! I’M OBSESSED!) and I then decided to give the log fire a go. In June. Purely for the novelty of lighting the fire. There’s everything you need to light it, and instructions in the trusty handbook, but with family living in the countryside, I decided I was a fire pro and went for it without instruction. It didn’t last long. I found myself wondering whether the vents were open, then having to leave the door open for a bit, then having to prod it, before it finally died. Oh well! As you can see above, it was mainly for a photograph anyway, and it looks good – even for just half an hour. So ladies, unless you’re a fire pro, let your fella do it and avoid the embarrassment! And what about sleep, I’m sure you’re wondering?! 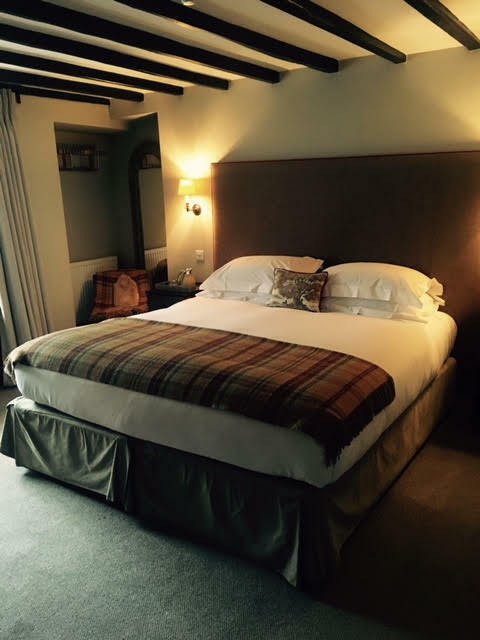 Well, the bedding at The Lord Crewe Arms is by far one of the comfiest things I’ve slept in, in any hotel ever. They call it Sleepy Linen on the website, and I have to say, I agree. Despite having a late night and an early start to get up for breakfast (served from 7-10am), I felt completely rested and had an sound, uninterrupted sleep. There’s not much light outside at night aside from the street lamps a little further up, so no light creeping in to disturb slumber. As mentioned, breakfast is served until 10am, and the beds were so comfy we basically slept in and almost missed the boat. I’ve never got ready so quickly! 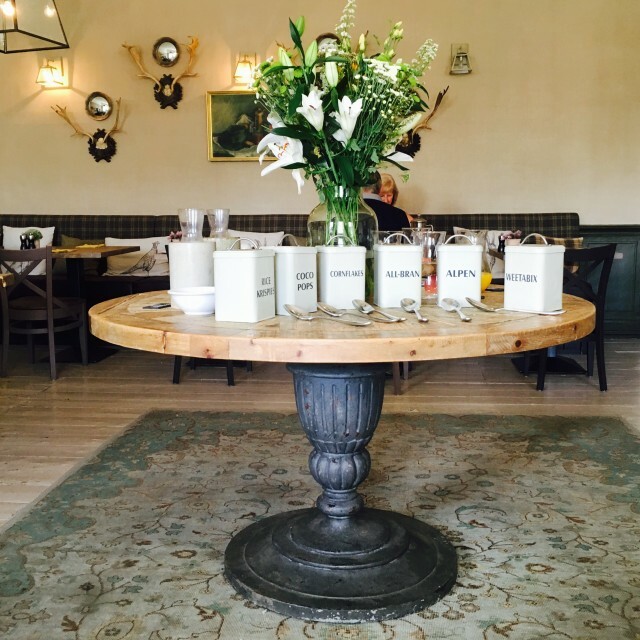 The breakfast menu boasts the likes of scrambled eggs with fresh salmon, the Northumbrian Breakfast, Eggs Benedict and the usual suspects, as well as a selection of granolas, cereals, fresh fruit, breads and yogurt. There’s also fresh orange, apple and grapefruit juices, and tea and coffee to order. I went for the Northumbrian Breakfast, which is quite a conservative portion compared to what I’d expected, but with toast on the side and plenty of juice/tea, there was more than enough to contend with. 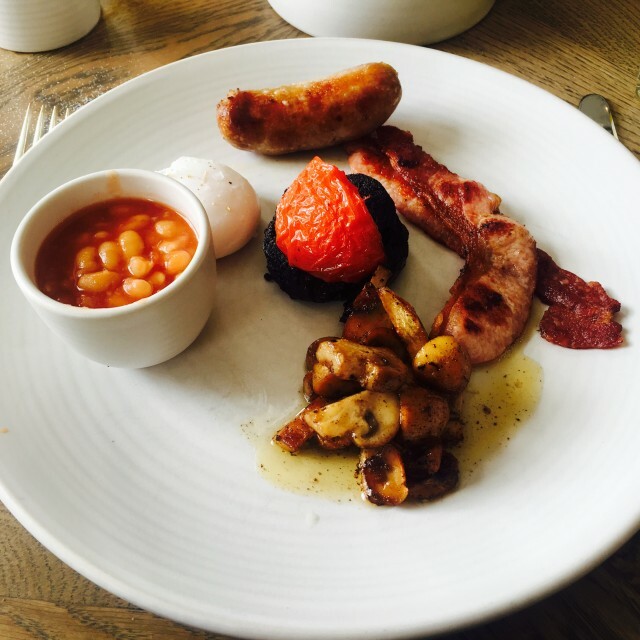 There’s a sausage, bacon, black pudding, an egg any way you want it, grilled tomato, mushrooms and a ramekin of beans, and I ate the lot. It wasn’t a greasy mess of a breakfast, just the classics cooked to perfection and served so you’re not in a food coma for the rest of the morning. 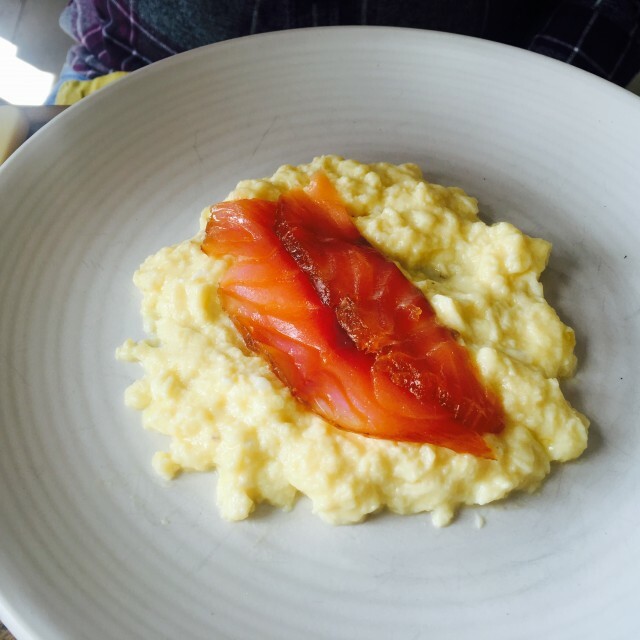 Given the sleeping-in, my boyfriend was up even later than me, so I ordered him the Scrambled Egg and Salmon, which was nice and light, but with plenty of flavour. 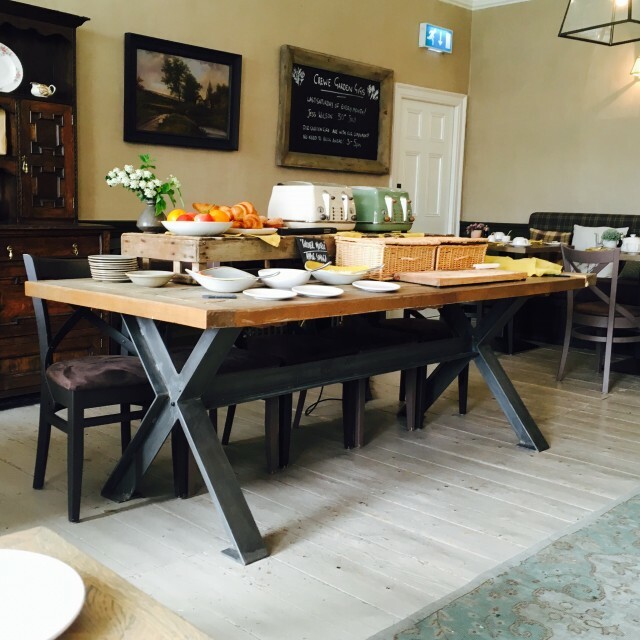 I imagine breakfast time at The Lord Crewe Arms is quite a leisurely time, if you’re not rushing round like maniacs to get there before the end of breakfast. There are newspapers, views over the expansive fields in the distance and quiet chatter, so it’s a really nice place to be. Despite our tardiness, the staff couldn’t have been nicer and were in no rush to clear things away, allowing us to get as much as we liked before shooting off. Check-out is at 11am usually, but the management and reception staff were totally fine with us taking a little longer, as the room wasn’t booked out that day. 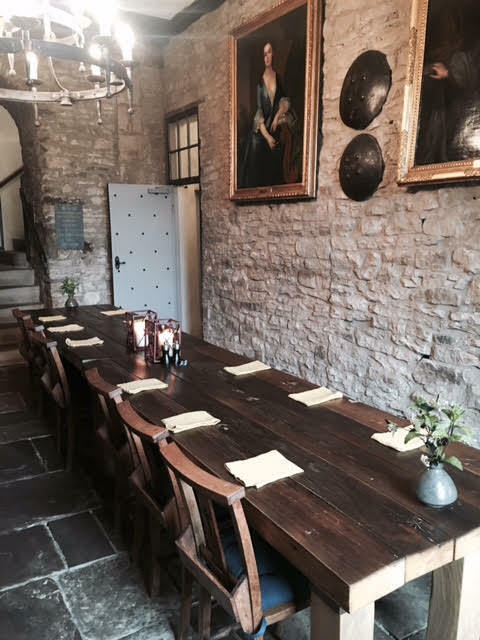 That kind of flexibility and friendliness isn’t common, and despite being part of a larger group, it’s clear The Lord Crewe Arms has its own set of hospitality rules. It’s welcoming to all, and throughout the visit we couldn’t have spoken to nicer people, both staff and fellow residents. The place evokes a sense of calm and tranquility (perhaps its got something to do with Holy Land? Who knows! ), and I guarantee – you won’t want to leave. 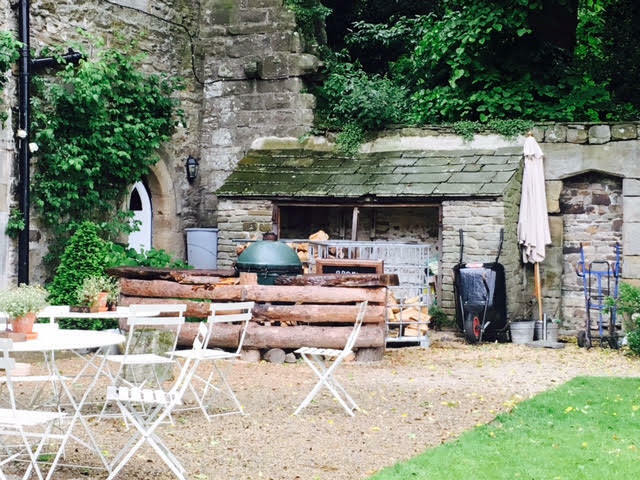 Since visiting, I’ve been plotting when we can go back, whether its to enjoy one of their huge (and highly acclaimed) Sunday Lunches, or for the Garden Gigs which they hold once a month (last Saturday of each month) outdoors on their lovely lawn. If it rains, no worries – like the June gig, there’s plenty of room to accommodate punters and musicians in their bar/lounge area. Nothing is too much trouble or unfixable. 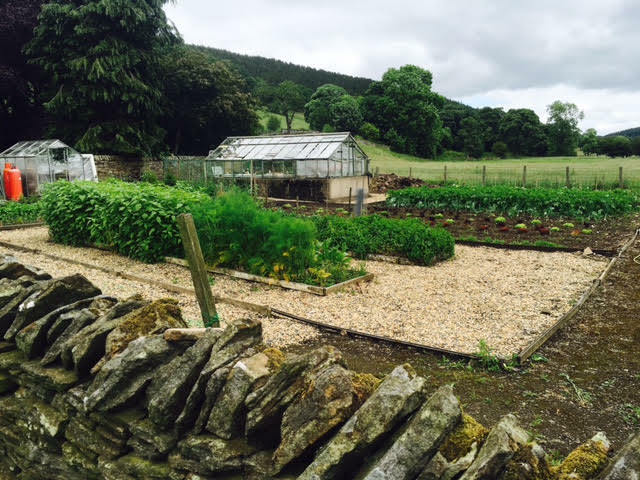 The Allotment – a lot of the produce used to create the delicious meals are grown right on site in this cute little space! If I can give you one tip, however, it’s pack the insect repellent. I for one am a magnet for midges, and Blanchland (particularly in The Lord Crewe Arms’ gardens) seems to be packed with them. Get yourself covered in repellent and fight the little buggers off, or be bitten while you enjoy the outdoor space. It’s not a massive deal, of course, but screw those midges! 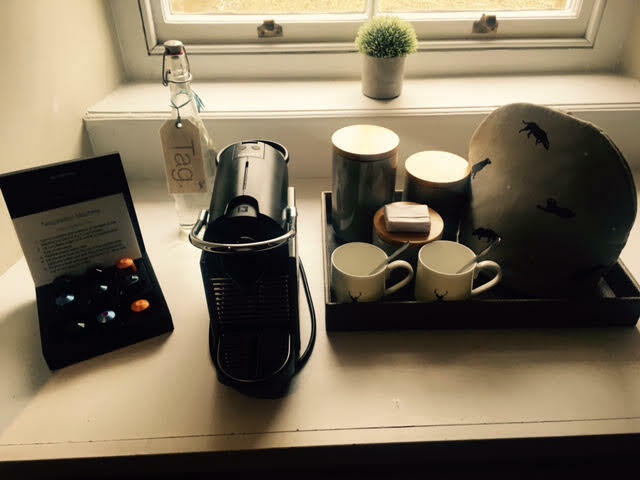 Big thanks to Emilia, Spud & the team for making our visit so enjoyable and fuss-free. I absolutely cannot wait to come back, and since I spent the whole time there saying “this is my number 1 place ever!” and “OMG this is my favourite!”, and I can’t say fairer than that! Get yourself there and be prepared to fall in love with Blanchland and The Lord Crewe! 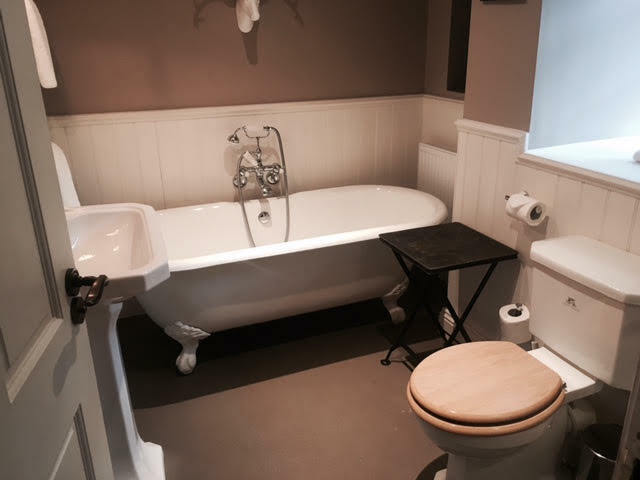 The Lord Crewe Arms, The Square, Blanchland, Consett, County Durham, DH8 9SP.